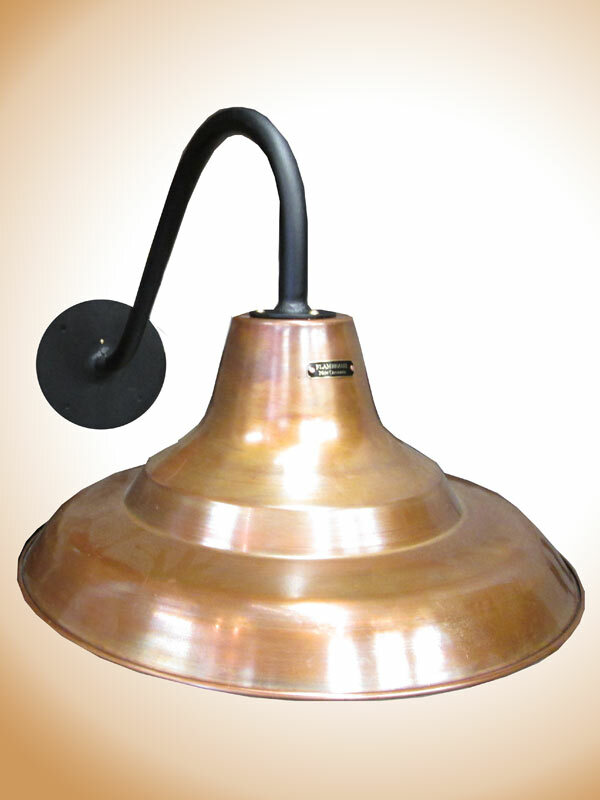 The traditional Warehouse/Barn Pendant light. 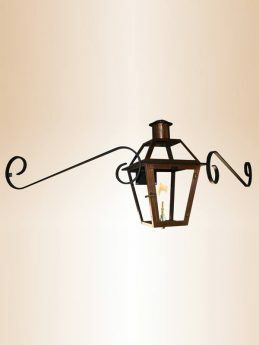 This Flambeaux French Quarter style lantern is designed to hang from a ceiling on a beautiful yoke bracket. The design of the Jamestowne light captures the feeling of the simpler times of colonial America and is the perfect accent for a door or large wall because of its height. 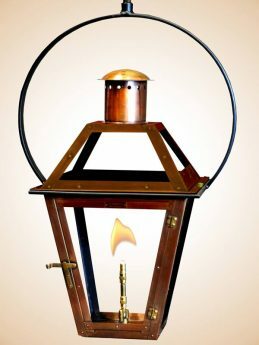 The Mustache style design adds width to the traditional Flambeaux French Quarter style lantern allowing it to be used in different applications. 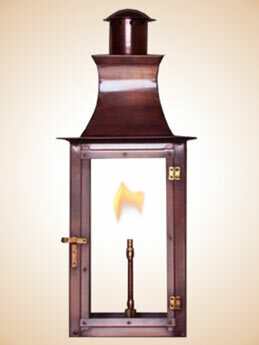 Call us today and one of our design professionals will help you find the right lantern for your needs. © 2019 Flambeaux Lighting Gas and Electric Copper Lanterns - New Orleans, LA.